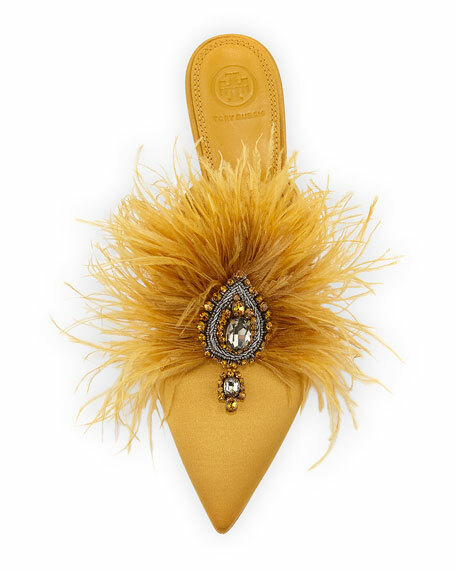 Tory Burch satin mule with jeweled ostrich feather ornament. "Elodie" is made in Brazil. 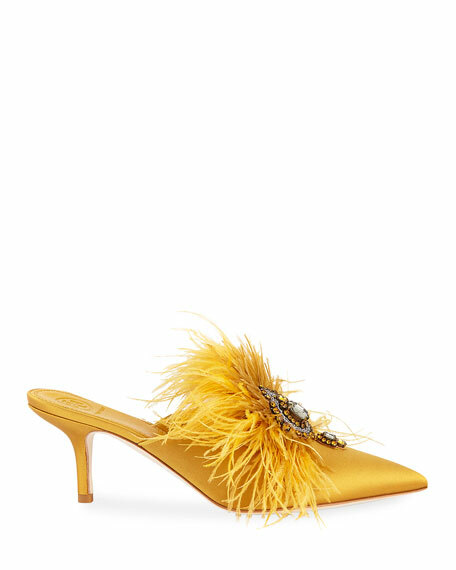 Fendi fabric pumps with FF wing features. 4.3" striped block heel. Square toe. Slip-on style. Padded footbed. Leather outsole. "Freedom"
Fendi fabric pumps with FF wing features. 4.3" striped block heel. Square toe. Slip-on style. Padded footbed. Leather outsole. "Freedom" is made in Italy.